Painted dogs, also known as wild dogs, are the most social of all dogs. A pack can range in size from 2 to 27 dogs. Within a pack, all the females will be related to each but not to the males. Only one female, the most dominant, will breed at any one time. However, all will help feed and protect the pups. After a hunt, the young are fed first. Unfortunately, 70 to 90% of the pups in a litter won’t survive. Pups are often targets of lions and hyenas. Painted dogs communicate through high pitched sounds. They do not howl. If the dogs are separated from the pack they make a distinct bell sound called a ‘hoo’ to find each other. It sounds similar to tennis shoes squeaking on a gym floor. This ‘hoo’ is distinctly quieter than the calls of lions and hyenas. This is most likely not to attract attention of other predators. Their scientific name, Lycaon pictus, actually means ‘painted wolf-like animal’ in Greek. They are also referred to as wild dogs, cape hunting dogs and the ornate wolf. No two dogs have the same patterned coat. The disruptive nature of their coats makes their pack look bigger than it really is. This confuses other predators. 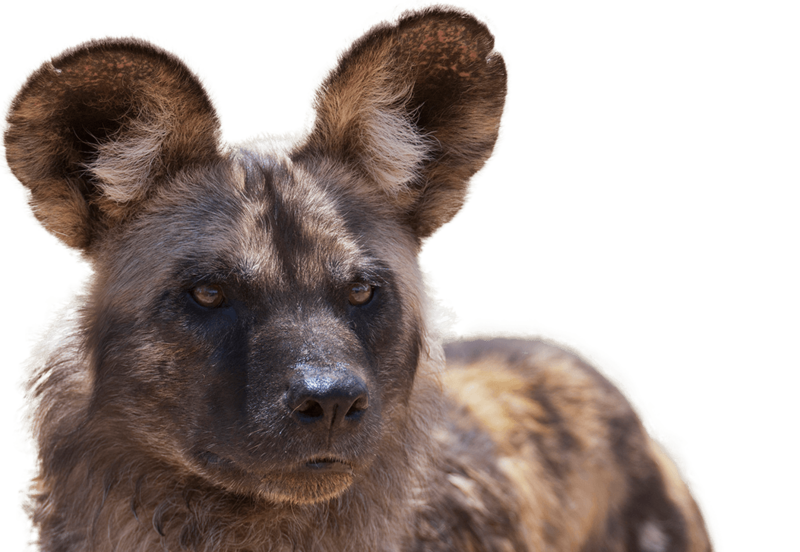 Painted dogs are among the most successful hunters in Africa. They catch their prey between 70 – 90% of the time. A lion only catches its prey around 10% of the time. The National Zoo & Aquarium is home to 4 male painted dogs.